I make no apologies for popping up for my first blog in nearly 10 months with 10 days to go to Kona, I have tried to pen a few times in the last few months but there has always been something in the way, work, family, zoning out in front of the TV. Even now I am in bed after a 9pm turbo session and trying to eek the last hour out of the day. What is keeping me going is the thought that in 10 days I will be on the pier in Kona (below), lining up for the start of one of the most important races in the triathlon calendar. With nearly 1800 of the worlds best Ironman athletes in one of the harshest environments you can race in, and you won’t be surprised that I am looking forward to every minute. It will be brutal, the wind, the heat, the hills but I choose to be here, let the countdown commence. Its been a long wait since the qualification, Florida was an amazing race, I’ve always wanted to qualify for Kona a year before the race, its hard to recover from the later races and then build, the down side is, its a long year to wait. You have to choose smaller targets in the build up to maintain a focus. The year has been varied, I tried again to dip under 3 hours at London and failed miserably, I managed a 3:17. Yes, it was hot but I think I was probably fit enough for a 3:02 – 3:05 at best going into the race, I just don’t think unless I can separate the 3 sports I will ever be able to get under the 3 hour mark and I can’t see me dropping the swim and bike to make that happen in the next few years. What made up for it hands down was racing with a great bunch of mates from Warrington Running Club and Total Tri Training. And still the main reason I love this sport, family, camaraderie and seeing others achieve great things. My lead up races were Cleveland Middle distance and the Sundowner Middle, both of which I delivered solid performances, the run is still where I can make the most improvements and yet I still probably push the bike hard enough to prevent that from happening. Even though I’m getting older, I am still learning and reckon I can still get faster before I get slower in my AG. Changing my diet has also helped this year, we have a great set up at TTT and along with the swim coaching, bike set up, camps and overall coaching structure we work with a nutritionist. I am not the best student all of the time but I have changed the way I view whats going into my mouth ‘most’ of the time, I’ve relied on less carbs and more added more protein and good fat. Its helped me get to race weight without losing lean muscle and going into the race I will be at what I class as an optimum weight at around 71kg. My main concern over the last 2 months has been my propensity to break bikes, 2 in the last 2 months has not helped the stress levels (blog on that to follow !! 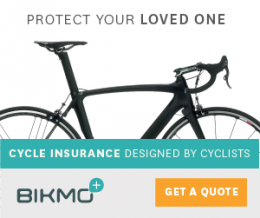 ), I now have a great bike built and about to be broken down (on purpose this time) to pack, Bikmo, my insurers and who I am an ambassador for have been brilliant, as have the TriStore who supplied the bike and Factor bikes. I will be posting a few blogs while we are there, I mean, what else is there to do except train, rest, write blogs 🙂 and in 10 days hope to be on the start line for what is the 40th anniversary of the World Championships in Kailua Kona and most likely our last visit to the island for some time. We have the whole family going this year and I hope the experience is something the kids will remember, at least thats what the teachers hope as they are missing 2 weeks of school 🙁 We also have Kellys mate along for the Kona leg who will help especially on race day as Kelly hasn’t been able to really relax on race day previously with young kids on the last few occasions to watch over. Seems a long time ago now but 40th anniversary gold ! And on that I’ll leave it short and sweet, quick thanks to all who have wished me luck and I know who will be following on the 13th October, my sponsors XEndurance and Bikmo and always to Kelly, without her understanding of what this is all about for me I wouldn’t have the right support to do what I do.